KAMPALA – It is a bright hot day as the scorching sun is bearing down upon the Mbale municipality suburb of Namatala. Voices of children playing in the quarters echo in the shallow alleyways winding through the dilapidated structures that are a common site when you reach Namatala slum. 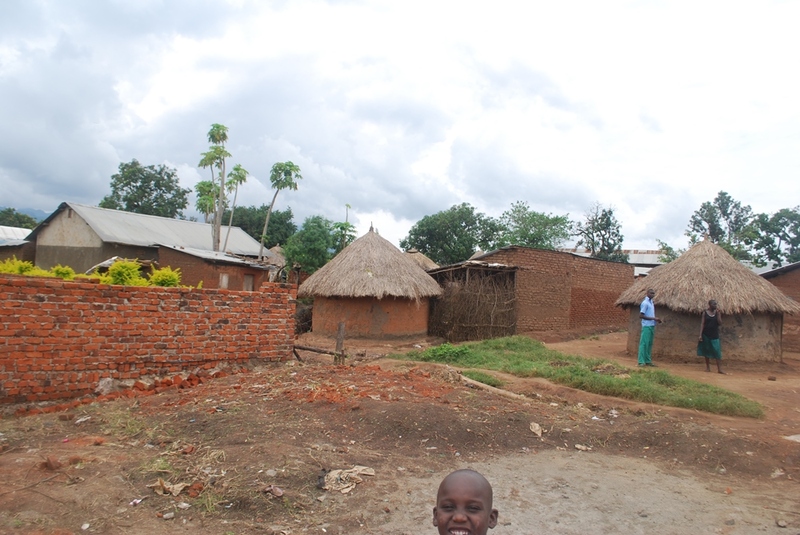 Namatala, one of the biggest slums in Uganda is composed of huts – the kind of huts that people generally think of when they think of Uganda slums. Many of these are round hovels made with mud and grass thatched roofs; there are bigger, rectangular ones – but these are subdivided into rooms so that one family occupies the space of the size of a small village kitchen. The first time I walked through it, I detached myself from the situation because I did not want to be emotionally hurt by seeing others’ needs. I tried not to think about all the problems in the slums because I did not want to think too deeply about the difficulties and trials that are a part of life here. Yet I think I almost need to become emotionally involved in the situation because it inspires a passion and a love for the people so that I am devoted to doing everything about their situation. “When it rains, the sewage runs into our homes but even then we are not safe because we have nowhere to go. We can’t afford land anywhere and yet the Mbale Municipal Council wants us out of town in quest for a city status,” Ms Atim who stays in Kiteso cell says. 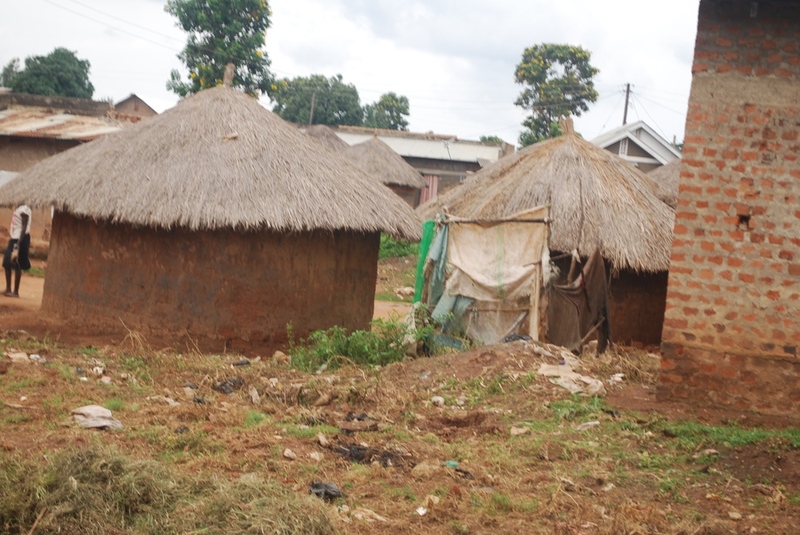 Like other slums in the world over, Namatala is inevitably occupied by very poor people and families, who have nowhere else to live it is a squalid section of Mbale municipality, an area in which most inhabitants are in or near poverty. The residences are cheap and dilapidated, and streets are narrow and blighted. The living conditions in Namatala slums are horrible, harsh with landlords often failing to maintain the properties the poor immigrants live in, the tenements are breaking down and collapsing. The first inhabitants of Namatala lived in a place called Mvule. Mvule is a name of a tree. It originates from the place where people used to have their meetings, under the tree. The first inhabitants were Dephus Kigozi who came from Buganda, and Mr John Namalwa who came from a place called Nsambya. These people came here fleeing from war and conflicts in their areas of origin. Today, the area is mainly inhabited by Karimojong settlers that have come due to insurgency in the Karamoja region; and thus the area is sometimes referred to as ‘Kikaramoja’. Mr Hakazia Kuloba, 65, a resident of Namatala says people arrived here in about 1930s and the settlement has been in existence since then. The major reason as to why people came to settle here is search for employment and the area’s agricultural potential. According to the Mbale City Profiling Report (compiled by ACTogether, Uganda Slum Dwellers Federation and Mbale Municipality) Namatala is the largest slum in Mbale Municipality with an estimate of 30,200 people. According to Kuloba, the place is now a combination of inhabitants including the Bagisu, Bagwere, Basoga, Iteso, Karimojong, Acholi and Langi among others. Many settled here because of civil unrest, drought, and natural disasters like floods and landslides and in search of employment. However, to date they are still grappling with life’s problems. Mr Ahmed Kutosi says because of the nature of houses [Mud and wattle] and pit latrine pit, sanitation standards are wanting, right from the leaders to the locals. On arrival at the home of the LCI chairperson, John Byansi, the unmistakable smell of human dung welcomes you. It is as if the LCI chairman keeps cows right in front of his door and during the rainy season, the whole place is a mess. The latrines are in a poor state and yet they cater for over 30 people, since many landlords construct over five single rooms that house an average of five people in each, excluding passers-by. Mr Kuloba says most people in Namatala don’t have latrines, so they help themselves in polythene bags and litter them near the homesteads and on garbage bins put up by the local government council. “Our pit latrines are not controlled by anyone in particular and many are full, squalid, overflowing and prone to causing health hazards and the bathrooms are equally in bad shape with many made of polythene sacks and pieces of old iron sheets with bad floors,” said Mr Kuloba. Although many people have access to clean water through communal taps, most landlords who have posh houses, charge Shs300 per Jerry can, which some cannot afford. “Many people still collect water from the nearby River Namatala. Unfortunately the river has claimed so many lives, especially children who go to wash, fetch water or swim,” said Mr Kuloba. Mr James Kutosi, the Mbale Municipality spokesperson says they have registered cases of children drowning in Namatala but their advice to have people vacate the place have always fallen on deaf ears. “We do post-mortem of the recovered bodies and usually urge people to leave living around the banks of river Namatala and sending children to the river to fetch water but they don’t learn,” said Mr Kutosi. Some NGOs like Jenga CBO, Child Restoration Outreach, Child of Hope, Uganda Slum Dwellers Federation, PONT Uganda and ACTogether, are implementing projects in areas of water sanitation, prostitution, child abuse and abandonment by families, but much still needs to be done. According to the LCIII chairman industrial division Mr John Wafula the people living in Namatala are usually the most stigmatised in Mbale Municipality, carrying high social stigma. Mr Wafula said in the mind of the general public, the disrepute and stigma of the slum area washes onto the people who frequent or inhabit it. “When most people think of a slum they think of residents who deviate from the morals, norms, and standards of public decency held up by the wider conventional community. 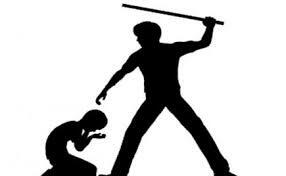 The people involved in serious crime, drug and alcohol abuse, juvenile delinquency, gang violence,” said Mr Wafula. Mr Mutwalib Zandya, the mayor Mbale municipality however says that it is tempting to think that slums are an urban anomaly produced only when something goes terribly wrong. He adds that the high prevalence of slums and the ease with which they grow suggests that their causes lie in conventional and institutionalised routines of business as usual. “The urban space is stratified as the most powerful people or those with the greatest wealth occupy the most desirable parcels of land,” said Mr Zandya. Mr John Byansi, the LCI Chairman of Sisye cell says slums developed in Namatala when rich people built crowded substandard housing on the cheapest land and rented it to poor households with earnings too low to allow them to live better. “Our worry is that the poor slum dwellers are being pushed towards the river by the rich businessmen. The slum dwellers are selling off their land because of poverty and in other places land is being taken by the municipal council for development,” said Mr Byansi. Ms Jane Nabukwasi, a resident of Nkoma says the poor in the slum belong to a stigmatised racial or ethnic group and that one’s address becomes a prestigious status symbol if one lives in an area reserved for the “right” kinds of people. “Slums are for the poor class and in Namatala the people are associated with harmful threats to community health and stability e.g., lowering the quality of schools, raising the crime rate, spreading disease, not keeping up their yards or homes,” said Ms Nabukwasi. “All attempts to exclude us from all slums are made, which if successful leaves us in areas of highly concentrated poverty and landlessness, that is the fear we have,” added Ms Nabukwasi. Namatala ward/settlement is located in Industrial division in Mbale Municipality and the settlement is made up of five zones namely; Doko, Sisye, Mvule, Nyanza and Wandawa.